In a move designed to protest staff and program cuts in Walker Art Center’s film and video division, the department’s three interns resigned Wednesday afternoon. Jeremy Meckler, Courtney K. Sheehan and Matthew Cole Levine announced their walkout in a statement emailed to Walker staff accusing the museum’s management of “general disrespect towards a longstanding, talented, and loyal staff” and “callous negligence” that “was felt with particular sting in the Film/Video department.” The three had spent a total of five years working at the Walker. 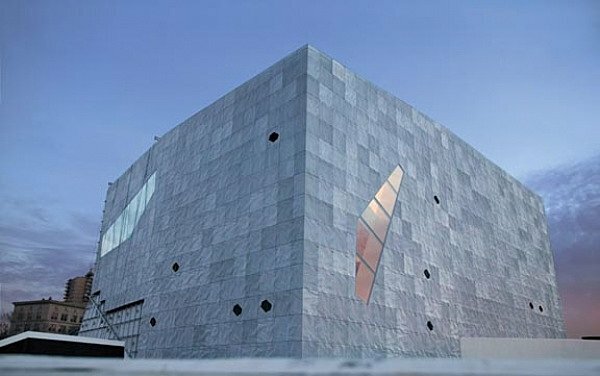 The museum this month has undergone a bruising round of layoffs and restructuring in the face of rising admission prices and falling revenues. Two weeks ago Walker management laid off Film and Video Program Manager Kathie Smith, with Assistant Curator Dean Otto, who handled primarily programming responsibilities, assuming Smith's administrative duties. Otto and Film and Video Curator Sheryl Mousley are now the department’s remaining fulltime staff. With a $1 million gift from the Edina-based Bentson Foundation, Walker extensively remodeled its cinema in June 2012, yet the museum’s film programming has declined. Longrunning film series including “Women in the Director’s Chair,” the “Global Lens” world cinema survey, and the gay-themed “Queer Takes” are gone from the calendar, and the cinema sits dark most days. Screenings have fallen by about 20 percent in the last five years, from an average of 170 to 140 a year, said Ryan French, the Walker’s director of marketing and public relations. Visual and performing arts programs also have been curtailed. Walker's most successful recent film event was last summer's festival of Internet kitten videos.